People seeking safety in our country are banned from working. Unable to provide for themselves and their families, they’re often left to live in poverty. Adding your voice means we can fight harder for change and win over those with the power to make it. "I want to work – I don’t want any more hand-me-downs. I want to enjoy the reward of my sweat. I don’t want to rely on the government’s benefits. I want to work so I can prove myself to my children." Right now, right here in the UK, people seeking refugee status are banned from working while they wait months, and often years, for a decision on their asylum claim. 71% of the public agree that people seeking asylum should be allowed to work, an amazingly high level of agreement for any issue. High public support is just one of the countless good reasons and practical arguments to lift the ban. 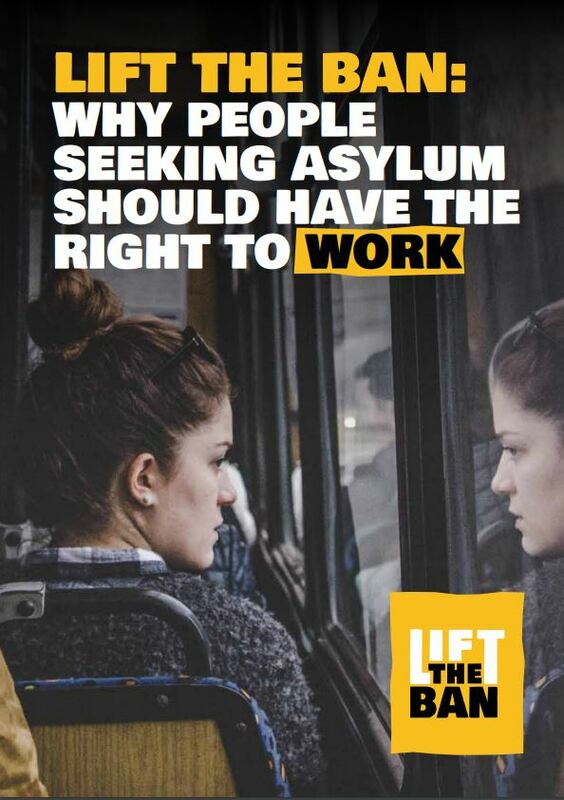 The case for giving people seeking asylum the right to work is contained in this report, which we’re launching as part of a coalition of more than 150 charities, faith groups, businesses and unions. Read the coalition’s report here. There are all sorts of ways to add your voice to our campaign on this issue. For more information on how you can get involved, download our activism pack below. It’s full of tips and information on how to campaign in your local area.